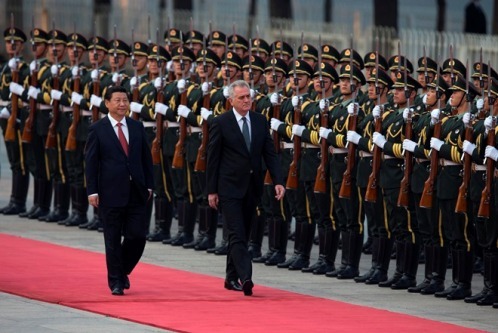 (Beijing, 30 August 2013) The President of the Republic of Serbia Tomislav Nikolic visited the People's Republic of China from 25 to 29 August 2013. During the visit to China, president Nikolić stayed in Beijing, Hangzhou and Shanghai. This is the first visit by a head of state from the region of Central and Eastern Europe to China since the election of the new Chinese leadership in March 2013. President Nikolić's spouse, Mrs. Dragica Nikolić, accompanied the president. The delegation included the ministers of the Serbian Government – Minister of Foreign Affairs Ivan Mrkić, Minister of Construction and Urbanism Velimir Ilić and Minister of Mining, Natural Resources and Spatial Planning Milan Bačević. In Beijing, president Nikolić met with the Chinese president Xi Jinping, Premier of the State Council Li Keqiang and Chairman of the Standing Committee of the National People's Congress Zhang Dejiang. During the talks with the Chinese leadership, joint commitment to further strengthen the friendship and strategic partnership was confirmed. The two presidents signed a Joint Statement of the Republic of Serbia and the People’s Republic of China to deepen strategic partnership, while ministers signed several agreements on economic cooperation, infrastructure, agriculture and IT sectors. It is expected that the state visit of the Serbian delegation, headed by President Nikolić, will start a new phase of friendship and strategic partnership between Serbia and China. 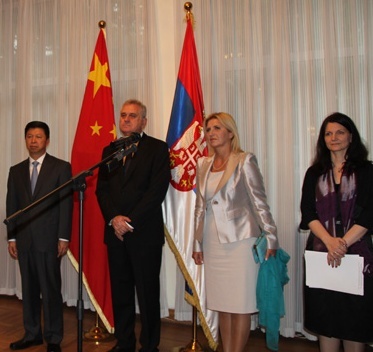 Serbian President also met in Beijing with senior representatives of Chinese companies operating in Serbia. Serbian president gave separate interviews to newspapers Renmin Ribao, China Daily, as well as an exclusive interview to CCTV program "Leaders". In addition, Serbian president held a press conference for the representatives of the most influential Chinese media. Spouse of Serbian president, Mrs. Dragica Nikolić, had a separate meeting with the Chinese president’s spouse, Mrs. Peng Liyuen. 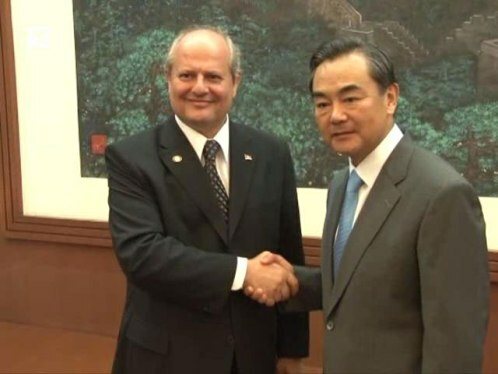 Minister of Foreign Affairs of the Republic of Serbia Ivan Mrkić had a separate meeting with the Minister of Foreign Affairs of China Wang Yi. Minister Mrkić said that the visit and signed agreements will further improve relations between the two friendly countries. In the Embassy of the Republic of Serbia in Beijing on 27 August 2013, a reception was held for representatives of Chinese institutions, businessmen of the two countries and Serbian diaspora. The guests were addressed by President T. Nikolić. The guest of honor from the Chinese side was Vice-Minister of Foreign Affairs of China Mr. Song Tao. On 28 August 2013 Serbian president opened the Forum on Economic and Trade Cooperation between Serbia and China in Hangzhou. In addition, he had a meeting with the Secretary of the CCP of the Zhejiang province, Mr. Xia Baolong, as well as with the Province Governor Mr. Li Qiang. During the visit to Hangzhou, Serbian president visited high-tech industrial park, IT company "Alibaba" and the car factory "Geely". T. Nikolić visited Shanghai on 29 August, where he met with the executive vice-mayor Mr. Tu Guangshao and visited the Centre for Urban Planning of Shanghai.